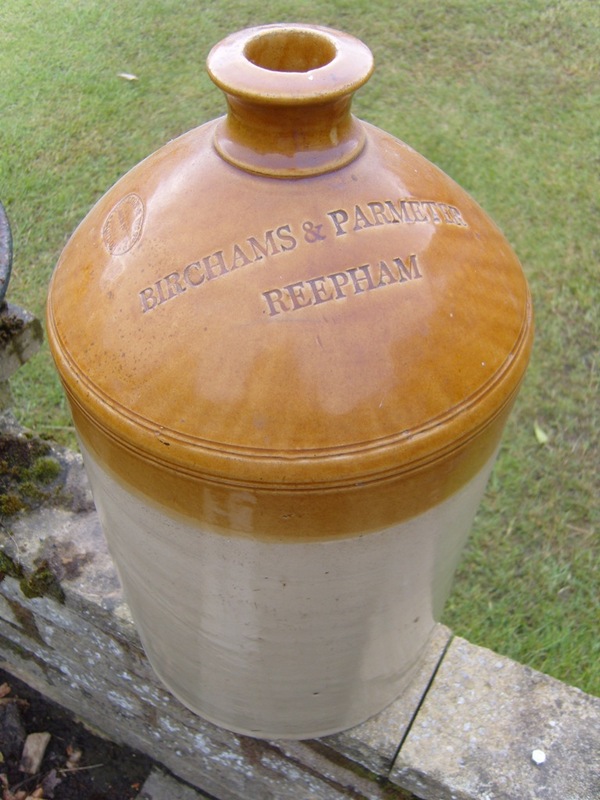 Saltglazed Flagon Impressed "Bircham Reepham" Saltglazed Flagon Impressed "Birchams Reepham"
Two Tone Saltglazed Flagon Impressed "Birchams & Parmeter Reepham" Two Tone Flagon Impressed "Birchams & Parmeter Reepham"
In 1830 William and William Bircham are listed as Brewers and Spirit Merchants in the Market Place. 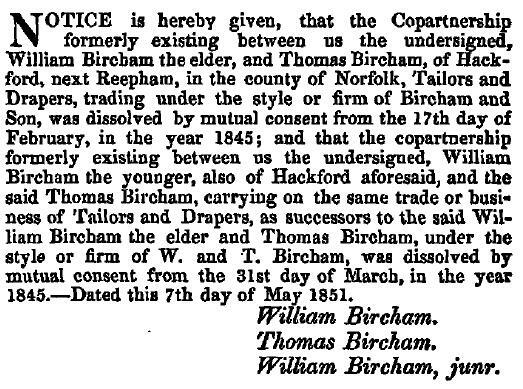 In 1845 Birchams and Parmeter are listed. 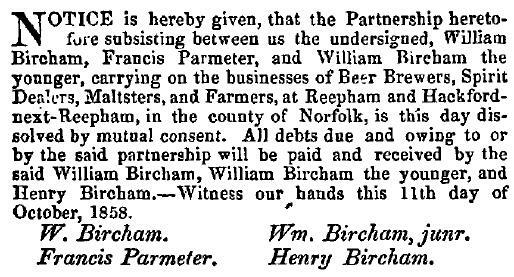 Birchams and Parmeter continued until 1858 when the partnership was dissolved. 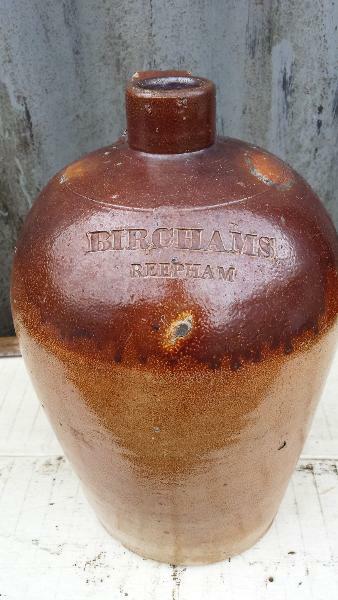 From 1858 until 1877 Bircham and Sons are Listed as Brewers & Spirit Merchants. 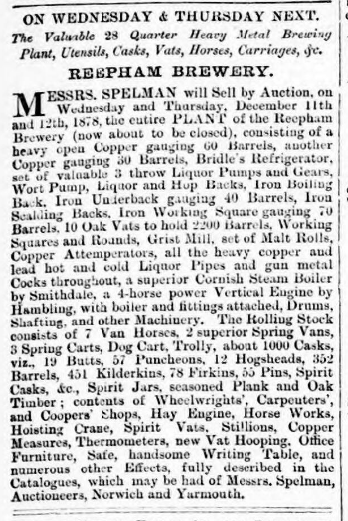 In 1878 the Brewery is sold at Auction to Steward, Patteson and Finch of Norwich for £36,000. Stoneware Footwarmer Printed "Wallace king Ltd. Branches Reepham. Attleborough. 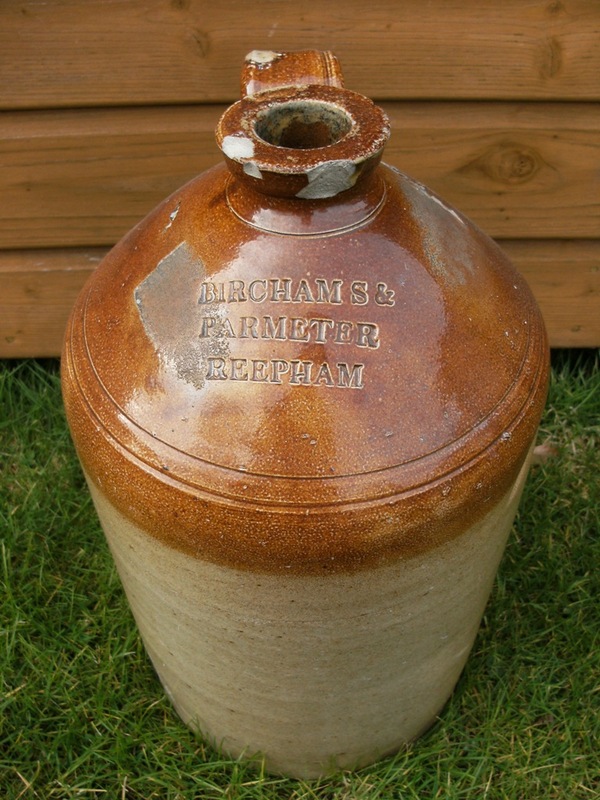 Stalham. Norwich." Wallace King Ltd are listed in 1912 and 1916 in Reepham as House Furnishers.